Chilli Squid, Shichimi Salt served with Sweet Chilli. All my friends already know about the foodie in me, the way I make eating out into an occasion. I always like the task of perusing the web and going through the foodie grapevine to find really nice places to eat—One of the many reasons I love living in London is the choices I have. Often times you’ll find me in discussions talking to people about their favourite places to eat and taking mental notes of checking it out someday. A few days ago, I was looking through my camera roll when I found a few pictures I took when I ate at Cocochan with a friend a few months ago. Usually when I am going to a new restaurant, I take my fancy camera with me so I could write a review of the place. But this time around because I was catching up with one of my best girls, and we hadn’t seen each other in ages, I decided not to make a whole affair of it and just catch up. But I was pleasantly surprised by Cocochan that I decided to at least take iPhone photos of the meal to tell you guys about it. I am a huge fan of Asian cuisine, from the Indo-Malay to the Korean delicacies and everything in between, however finding halal options outside of the south-east restaurants range can be a bit tough. 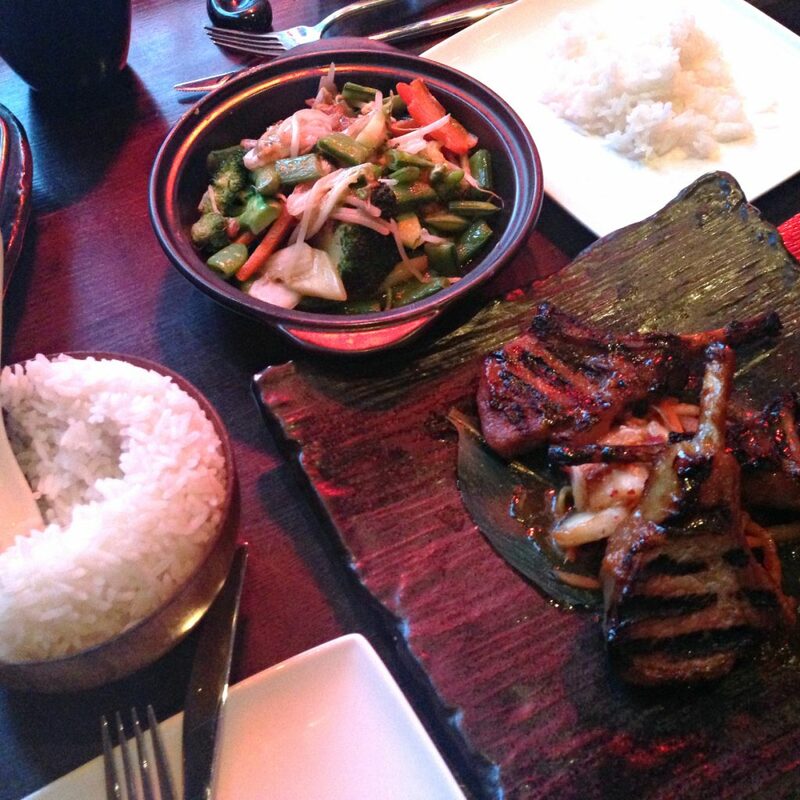 So hearing that not only was Cocochan pan-Asian but also that it was halal was music to my ears. 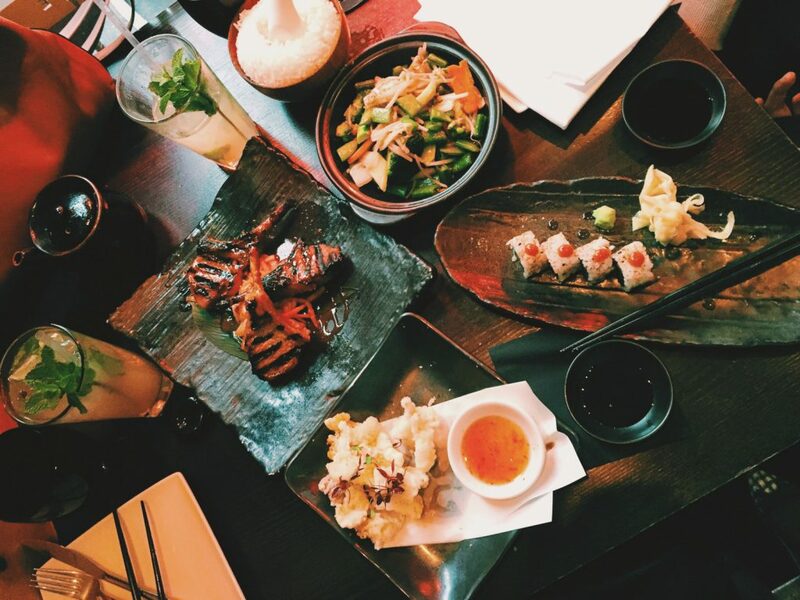 Tucked away in a street just off of Selfridges, meant Cocochan could serve as a pre-shopping or post-shopping treat. First impression of the restaurant was a delight, the decor was modern with the right touch of cosy—decor means a lot to me when I am choosing restaurants. We were sat near the windows which had the view of the streets and people watching as you may know is one of my favourite pastimes! The staff were very friendly and pleasant all through, they had a knack of being attentive to each customer without being overbearing. When it came to ordering, we went the route of ordering a few dishes to share so we could sample out more but with the mind of leaving space for dessert. 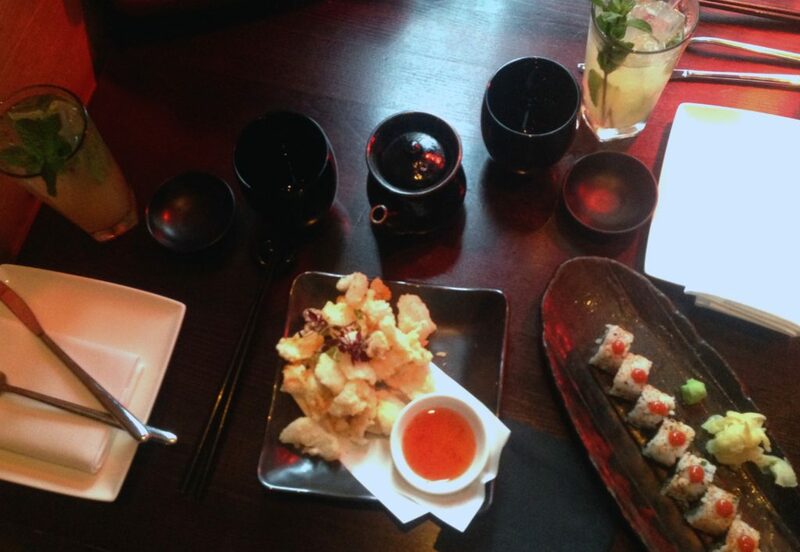 We ordered Chilli Squid in Shichimi Salt served with Sweet Chilli, Salmon & Avocado Ura Maki, Kimchee Lamb Cutlets, Stir‐Fried Vegetables and Jasmine Rice. 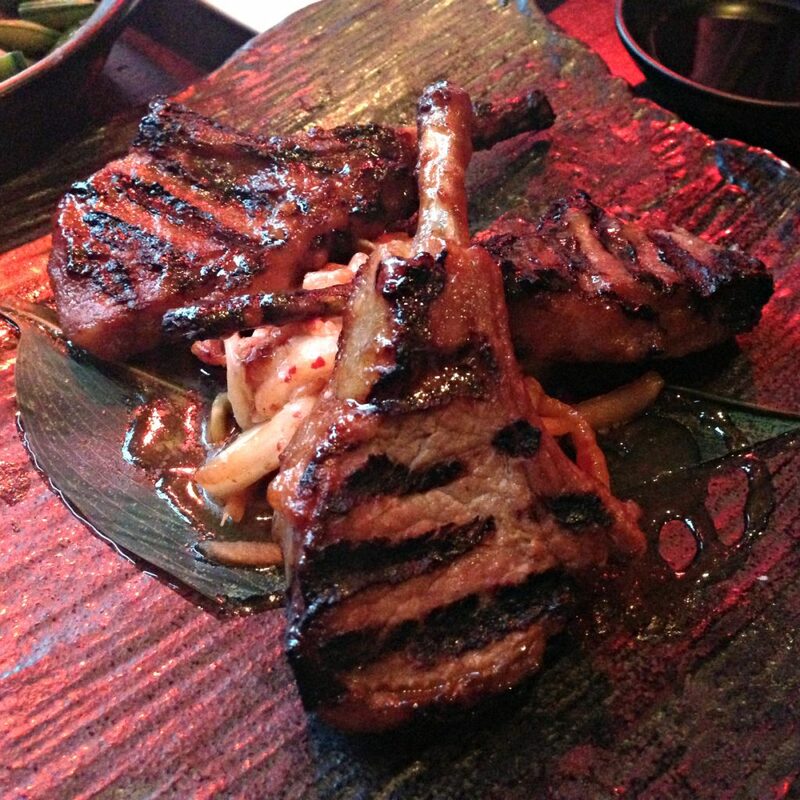 I was really intrigued by the Kimchee Lamb, because as you may know I’m studying Korean and love love Korean food. The combination was unique and boy did it not disappoint! I have to say though that I have had better kimchi but the way this one was made complemented the juicy lamb by being a bit sweet. Both me and my friend commented on how well seasoned the vegetables were—far cry from the bland veggies restaurants usually serves. 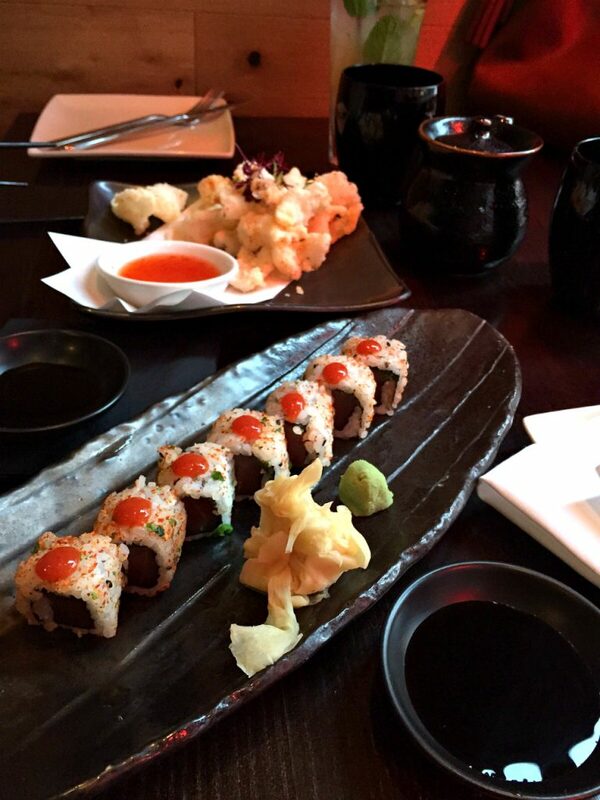 Even though we ordered one main dish, the portion was enough for the both of us adding the starter and sushi! For drinks, I always go for virgin cocktails and often times I go for a Mojito. 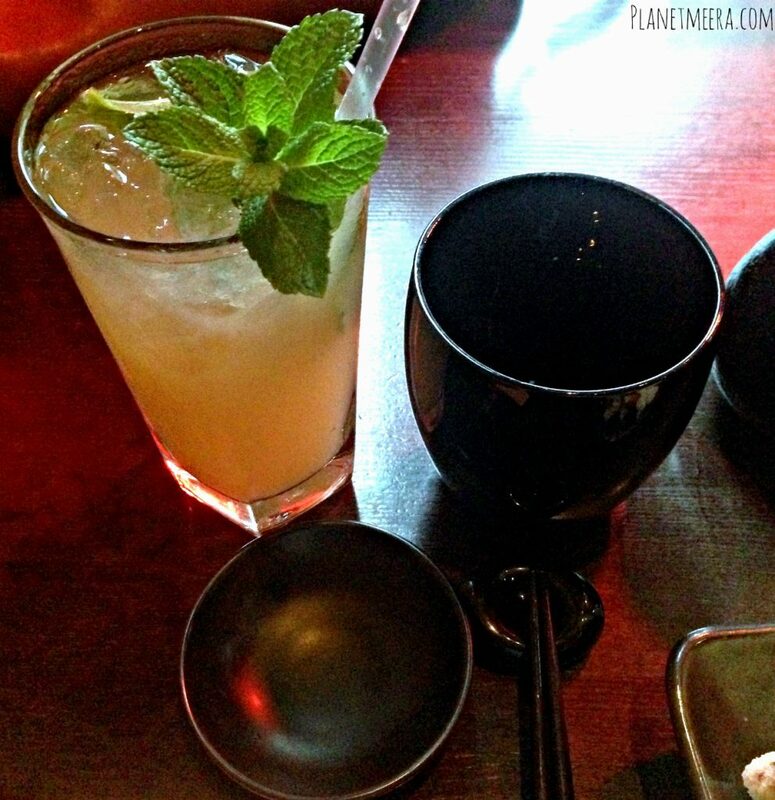 Their Virgin Mojito is made up of Apple juice, fresh mint leaves and lime, shaken & topped with ginger ale. Some restaurants have basic dessert on their menu, or don’t do dessert as well as their food. While others are experts in dessert so I recommend if you have the time, to have dessert and your meal in different places. Makes a lot of difference. In our case, we wanted Bubble Tea so we headed to Chatime in Chinatown!! Website: www.cocochan.co.uk Address: 38-40, James Street London.